Really glad to finally be able to share this news. 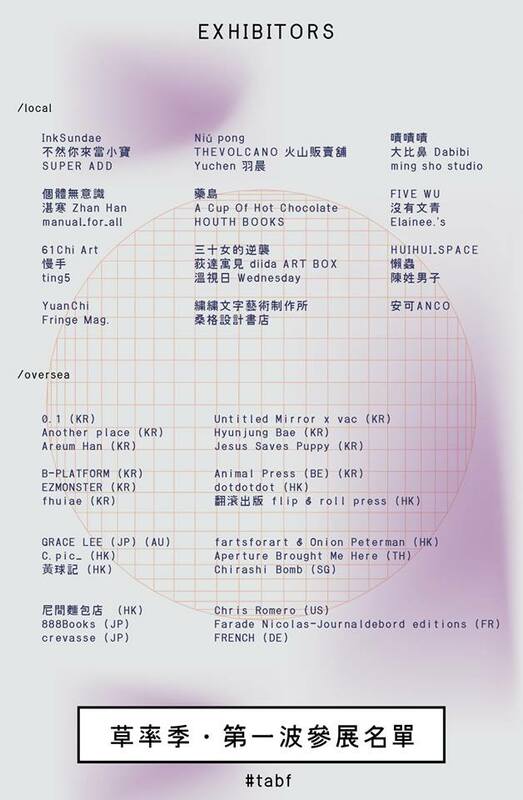 I will participate for the very first time to an Independent Art Book Fair exhibition that will be held in Taipei, Taiwan next month, exactly the 12 & 13 October 2018. For this special occasion, I will present a new and exciting project I have been working the last two months before my arriving in the city. Cannot wait to show you more soon, stay tuned.